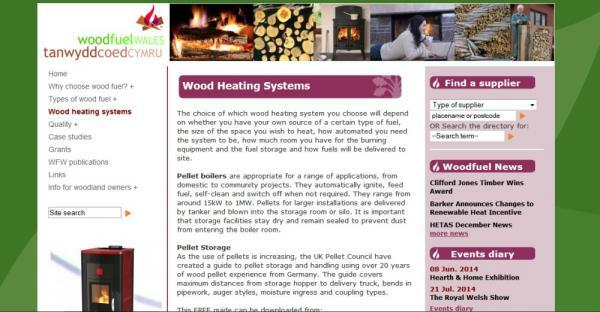 Website to provide information on the use of wood as a fuel for home or business use. It provides general information for potential users as well as a wide range of technical background. 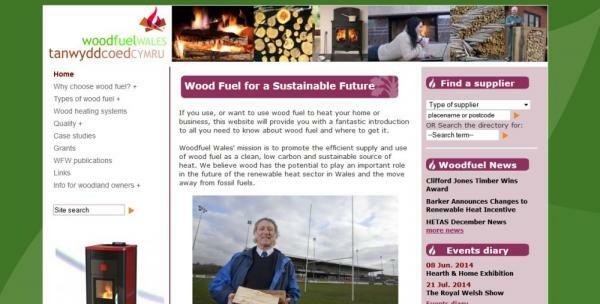 The original site was funded by Forestry Commission Wales and the Welsh Assembly Government. The original website was built and went live in 2006. 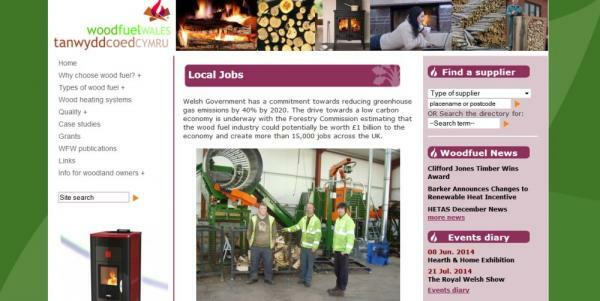 It was then visually redesigned in 2009, and in 2012 the site was completely redesigned and rebuilt using the latest versions of content management tools, with additional functionality added, including a searchable database of suppliers, members area, news and events diaries, twitter and facebook links. Technical features:The site was developed with PHP and MySQL databases to provide the full content management tools necessary to allow the project partners to manage all their own site content. At launch the site was contained 60 pages, and the users can add additional ones themselves. The site also includes a database of suppliers of fuel and related services. 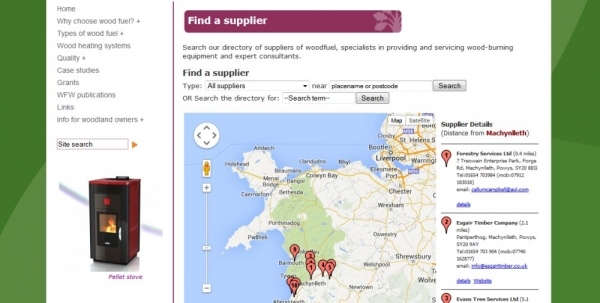 The database can be searched by postcode with the results being displayed using Google maps. Technoleg Taliesin Cyf. is a limited company, registered in Wales, no. 4432995 since 2002.